Every so often Kamar Jorden has to take a step back and appreciate how far he’s come. Just about six months ago, he had surgery on his knee. He was struggling to walk. Everyday tasks were next to impossible to complete. 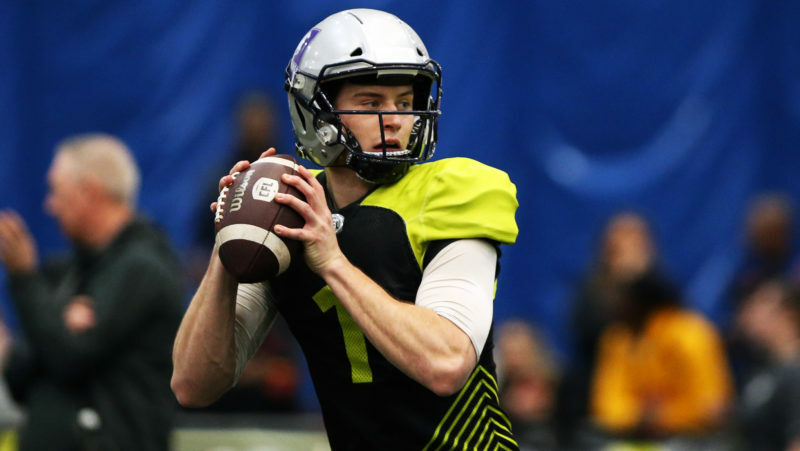 Now, he’s signed a new two-year deal with the Calgary Stampeders, he’s able to get around on his own and a return to football is in his sights. “Even now up to today, I think it’s just amazing, the things that I’m able to do now, seeing as though after my surgery I wasn’t able to walk at all,” Jorden said on Wednesday from his off-season home in Pennsylvania. “Everywhere I had to go, I had to use my crutches. Just sitting at home on the couch, trying to do the everyday things was a challenge for me. In September, while his Stampeders were facing the Edmonton Eskimos in Week 12 action, Jorden was bulldozed by a defender near the line of scrimmage – something that isn’t uncommon for a receiver blocking on a route. But as he went down in a pile of players, his knee bent the wrong way. His ACL, PCL and MCL tore. His knee was completely dislocated. 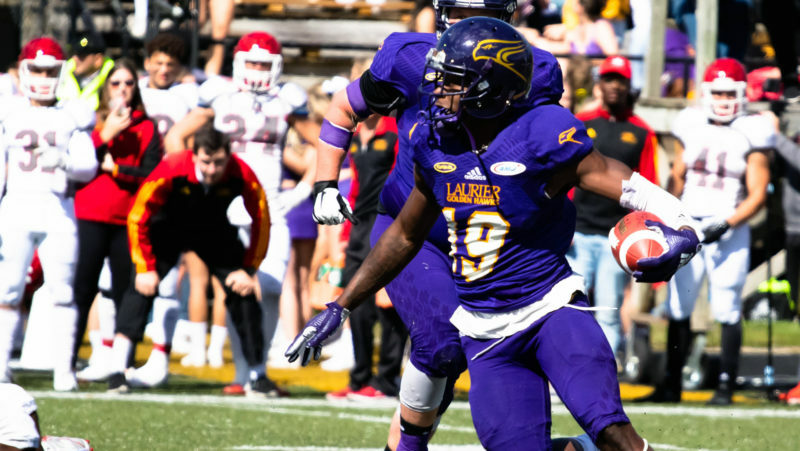 He had been through an injury similar to this one in 2017; he was blocking, was run over by a defender and sprained his MCL in a contest against the Hamilton Tiger-Cats. He was out of the lineup 10 weeks, no surgery was required and he returned to finish of the season with his team. But this time when he hit the turf, he knew it was serious. Jorden will visit doctors in Calgary next week. They’ll go over his progress and let him know if he’s still on track with his recovery, which he says is going very well. 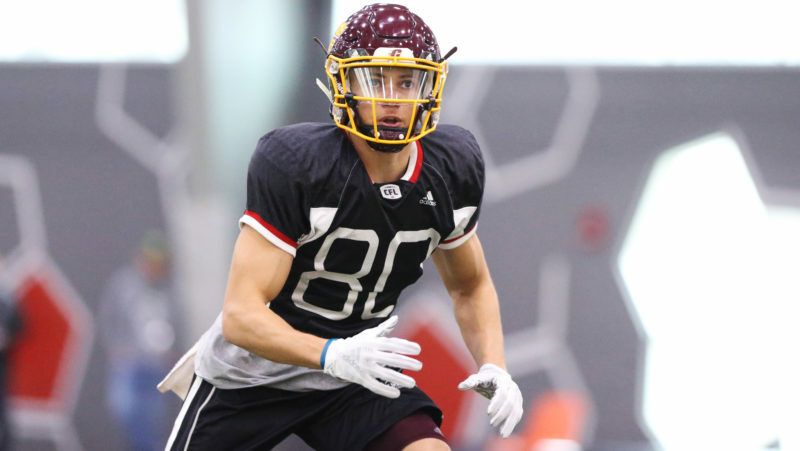 That means Jorden could make his return during the Labour Day Classic in September. Even though he won’t be involved in game-action for the first half of the season, he still plans on continuing his rehab in Calgary. He’s going to join his teammates at the Stampeders’ Grey Cup ring ceremony to “get some bling” and then head to training camp with everyone else. He’ll work on strengthening his knee and conditioning his body to be ready to make his return. Immediately following Jorden’s injury, there was much speculation that it could have been career-ending. If his new deal is any indication, that’s definitely not the case. 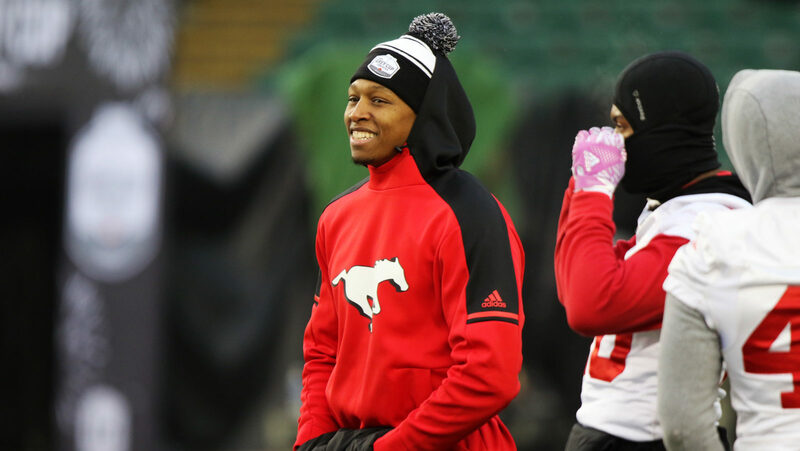 With an injury of that extent, Jorden didn’t know if the Stampeders would be willing to wait out his rehab. When he got the call from general manager John Hufnagel offering a new deal for the pending free agent, he was elated. “With the injury, it kind of made things a little confusing,” Jorden said. “I had to think about it a little more. Not necessarily if I wanted to sign with Calgary, because I always knew I wanted to stay there and play there for a long time and hopefully retire there, but when you get an injury you never really know what’s going to happen. You never really know what the teams are thinking, what the coaches are thinking, where they want to move forward with the team. Jorden has played his entire six-year CFL career in Calgary, including a brief stint on the practice roster in 2013. In 32 career games, the Bowling Green alum has hauled in 152 catches for 2,254 yards and 15 touchdowns. Before his devastating injury, Jorden was on pace for his best season yet. In just 10 games in 2018, the six-foot-three, 204-pound pass-catcher hauled in 944 yards and six touchdowns. He also set a franchise record for the most receiving yards in a single game with a 249-yard performance against the Winnipeg Blue Bombers in Week 11 – just one week before his season came to a screeching hault. He says he’s learned over the last few months to take things one day at a time. He’s accepted the fact that he can’t rush his recovery and he knows one of these days he’ll be back.